SISE, CHARLES FLEETFORD, businessman; b. 27 Sept. 1834 in. Portsmouth, N.H., sixth son of Edward Fleetford Sise, a commission merchant and shipowner, and Ann Mary Simes; m. first 20 Feb. 1860 Clara Bunker (d. 1872) in Mobile, Ala, and they had four daughters, two of whom survived infancy; m. secondly 4 June 1873 Caroline Johnson Pettingell in Newburyport, Mass., and they had three sons; d. 9 April 1918 in Montreal. Having received formal education only to age 16, Charles Fleetford Sise embarked in 1850 on a nautical career aboard a family-owned vessel. Six years later he was appointed captain of the merchant ship Annie Sise by his father and it was at this juncture that he began to keep a log. Once his seafaring days were over, he would continue the practice of recording events both trivial and momentous in personal journals, which he called logbooks, until his retirement in 1915. After commanding ships in the Pacific, Atlantic, and Australian trades for several years, he temporarily ended his nomadic existence in 1860, the year of his marriage, by entering into a three-year partnership in a general commission and ship-broking business in New Orleans. Although born and brought up in New England, Sise clearly sympathized with the south when the American Civil War broke out in 1861. A friend of Jefferson Davis, president of the Confederacy, Sise is reputed to have helped the southern war effort as Davis’s private secretary and as an intelligence officer and blockade runner. Always circumspect in discussing his civil war activities, he was alienated from his family in New England for a time because of his espousal of the southern cause and all but disqualified from a stable post-war business career in the American northeast. These factors help to explain his eventual settlement in Montreal. Sise travelled to Liverpool, England, in 1863 to acquire a ship on behalf of his father-in-law’s Alabama Steam Ship Company. The following year he established his own shipping, merchandising, and freighting business in Liverpool. In 1867 he returned to the United States and, on being again appointed captain of the Annie Sise, he set sail for Australia. On his return to the United States the next year, he obtained employment in the insurance industry. His 11 years in the business would include a stint as the American representative of the Royal Canadian Insurance Company of Montreal, of which Andrew Robertson* was president. Meeting continued resentment because of his former association with the Confederacy, Sise submitted his resignation on 31 Dec. 1879. In March 1880 he was hired as a special agent by William H. Forbes, president of the National Bell Telephone Company of Boston, a forerunner of the American Telephone and Telegraph Company (AT&T), to supervise the takeover of Canadian telephony by National Bell, a task which he accomplished most expeditiously. Two Canadian subsidiaries were formed in 1880 – the Canadian Telephone Company and the Bell Telephone Company of Canada. The first was to hold patents and lease equipment to the second, an operating company. Meanwhile, Sise had also obtained the telephone operations of both the Montreal and the Dominion Telegraph companies, at the time the major telephone-operating companies in Canada. By 1881 he had acquired, on behalf of his employer, “all remaining telephone properties in Canada” – 3,100 telephones in all. Moreover, by late 1880 he had negotiated an agreement with a former rival, the Western Union Telegraph Company, whereby all of Western Union’s Canadian telephone patents passed to the Canadian Telephone Company, thereby ensuring a separation of the telephone and telegraph industries. 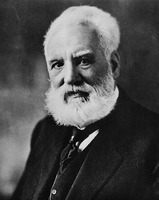 In 1882 the Canadian Telephone Company was merged into Bell Telephone, which, with Robertson as president and Sise as vice-president, appeared to have a clear field in Canadian telephony: it had a federal charter entitling it to extend throughout the dominion and it had acquired virtually all telephone plants and patents. In addition, under an agreement with the American company, the Canadian firm was to receive Canadian rights to all patents the American company would take out in Canada. In early 1885, however, one pillar of the Bell monopoly crumbled when the federal patent commissioner made void a basic patent. Canadian patent law required the domestic manufacture and sale of equipment; Bell had been importing from the Western Electric Company, the manufacturing arm of the American firm, and leasing to the public. Recognizing the threat the loss of the patent posed to Bell’s monopoly, Sise prepared the company for competition. He consolidated operations by overseeing the sale of facilities in Prince Edward Island in 1885 as well as in Nova Scotia and New Brunswick in 1888–89 and by abandoning connections with friendly but independent interests in British Columbia in 1889. Jettisoning these territories, it was anticipated, would enable the company to meet head-on competition in the heartland. In addition, under Sise’s direction Bell began rapid construction of long-distance lines to give it an advantage over local competition, thus inaugurating more than 100 years of controversy concerning telephone interconnections. Furthermore, under Sise’s auspices, Bell engaged in predatory rate battles where direct competition arose. In Peterborough, Port Arthur (Thunder Bay), and Dundas, Ont., for example, Bell offered free telephone service until the competition was eliminated. In Winnipeg, Sise surreptitiously set up the People’s Telephone Company to undercut both Bell’s prices and those of its true rival; when the rival collapsed in early 1886, so did People’s, leaving Bell in full charge at the old rates. Other rate battles occurred in Montreal and Sherbrooke, Que. Another means of subverting competition was to purchase exclusive franchises from municipalities: 30 were acquired by 1905 and 40 more between 1905 and 1910. In return for a guarantee of a local monopoly, Bell paid each municipality a franchise fee and frequently offered a number of free telephones. Bell agreed not to raise rates for a specified period of time – the only effective rate control the company faced for a number of years. Yet another tactic Sise conceived to ward off competition was to contract with railways for exclusive rights to place telephones in train stations and to construct telephone lines along railway rights of way. To competing telephone companies, exclusion from the railway station was a severe blow: for example, merchants could not enquire by independent telephones about the arrival of goods. Sometimes the railways themselves suffered, as in Fort William (Thunder Bay), Ont., where the town council, itself providing a municipal telephone service in competition with Bell, retaliated by barring Bell phones from police and fire department offices, making it impossible for railway employees to contact these services quickly, even in an emergency. General dissatisfaction with and animosity toward Bell at the turn of the century grew to such proportions that parliament received petitions from hundreds of municipalities, counties, and individuals pleading for greater government control; led by William Douw Lighthall*, the Union of Canadian Municipalities recommended that telephone systems be acquired by the government. Facing growing public discontent, Prime Minister Sir Wilfrid Laurier in March 1905 established a select committee of the House of Commons, chaired by postmaster general Sir William Mulock*, to investigate and report on the situation. This unexpected turn of events caused Sise, then aged 70, to cut short a European vacation and hasten to Bell’s defence. Sise hired a prestigious and politically influential team of lawyers and expert witnesses and supported Bell in other ways as well – through his own lengthy and impassioned testimony before the committee and also by backroom lobbying. Despite evidence received by the committee of high rates in territories where the firm had a monopoly, predatory practices in competitive territories, and a general unavailability of service in rural areas, Sise was successful in persuading the committee not to make recommendations, but merely to publish its extensive transcript, thereby all but neutralizing its work. Laurier terminated the telephone inquiry just before the end of the parliamentary session in July. Regulatory powers over Bell were delegated to the Board of Railway Commissioners in 1906. Laurier’s solution to the telephone controversy did not sit well on the prairies, where in 1908 and 1909 the three provincial governments each bought out Bell’s operations. For a time Sise had considered diverting Bell’s western facilities to a subsidiary, the North American Telegraph Company, in an attempt to defuse western resentment, but in the end he accepted the policies of provincialization. Provincial government purchases of Bell’s western operations undoubtedly enhanced its profitability, permitting the company to concentrate its efforts on the most populous and potentially lucrative markets. Moreover, confined to Ontario and Quebec, Sise could focus Bell’s efforts on developing its manufacturing operations. Bell had begun manufacturing equipment in 1881, albeit on a scale insufficient to avert the patent commissioner’s ruling of 1885. Then, in 1895 Sise had Bell establish the Northern Electric and Manufacturing Company. The new company began producing items previously manufactured by Bell under licence from AT&T. Four years later Sise sold to Bell for $500,000 a Montreal company he controlled, the Wire and Cable Company, which had also been supplying Bell with equipment. These manipulations in corporate organization were considered irksome by officials at Western Electric, the subsidiary of AT&T which supplied its equipment. By 1901 Bell was positioning itself to reduce orders from Western Electric, which was also cut out of other Canadian markets because of a previous agreement not to compete directly with Bell. Western Electric had influence with Sise since its parent firm was also Bell’s largest single shareholder. In addition, under the agreement of 1880, Western Electric supplied Bell with all patents taken out in Canada. In these circumstances Sise reduced tensions by agreeing that over the next few years Western Electric could procure sizeable minority holdings in both the Northern Electric and Manufacturing Company and the Wire and Cable Company. When, in 1914, Bell amalgamated these two manufacturing subsidiaries into a new Northern Electric Company, Western Electric acquired 43.6 per cent of its shares; Bell and its Canadian officers subscribed to the remaining 56.4 per cent. This pattern of ownership persisted into the late 1950s, allowing Northern Electric to avail itself of Western Electric’s patents and product designs, but retarding its own development as an innovator. Sise also pioneered Bell’s arrangements for interconnection with independent companies after the inauguration of regulation in 1906. Under the amendments to the Railway Act passed that year, the Board of Railway Commissioners was granted power to order connections between local companies and Bell’s long-distance lines “upon such terms as to compensation as the Board deems just and expedient.” To many independent firms Bell granted long-distance connections without recourse to the board; so-called “competing companies” were refused connections, however, and they were forced to take their cases to the board [see James Pitt Mabee]. Through a series of rulings the railway commissioners declared that companies seeking connections through the board would be required to compensate Bell for loss of local business as well as for expenses incurred in affording connections. By the early 1920s so disadvantageous were these rulings that all “competing” companies had disappeared. An integrated, albeit incomplete and possibly lonely personality, Sise was an energetic, meticulous, and autocratic business leader who, standing aloof from employees, generally commanded their utmost loyalty and respect. Toward competitors he was cold, calculating, and often ruthless. Toward governments he could be abrasive and, on occasion, disingenuous. A member of the St James and Mount Royal clubs of Montreal, this austere and quiet man none the less found his primary source of relaxation and rest in his home. Some 40 to 45 years older than the sons of his second marriage, Sise invoked in his domicile an aura of order and discipline rather than of intimacy with his progeny. He pursued no hobbies apart from extensive reading, so absorbed was he in the defence and advancement of the company he had formed. Sise personally steered the operations of the Bell Telephone Company of Canada for 35 years, first as special agent in 1880; then, from 1880 to 1890, as vice-president and managing director; and finally as president and managing director from 1890 until 1915. From 1915 until his death in 1918 he was chairman of Bell’s board of directors. 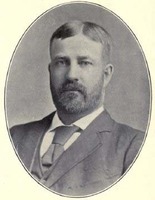 His influence endured beyond retirement and death, however, since in the words of a 20th-century historian, he “colonized the company with his protégés.” Lewis Brown McFarlane, hired by Sise from the Dominion Telegraph Company in 1880, presided as his successor from 1915 to 1925 and served as chairman of the board from 1925 to 1930. Sise’s eldest son, Charles Fleetford Jr, joined the company’s board in 1913 and succeeded McFarlane as president in 1925, an office which he retained until 1944; among other posts, Sise Jr held a directorship in the Northern Electric Company. Sise’s other sons, Edward Fleetford and Paul Fleetford, were installed in 1911 as directors of Northern Electric; Edward was appointed its president in 1914 and was succeeded by Paul in 1924. The Sise family thus exercised substantial control over the Bell Telephone Company of Canada for two generations, from 1880 to 1944. Although 46 years old when he inaugurated his career in the telephone industry, Charles Fleetford Sise was an excellent choice for consolidating and developing Canadian telephony on behalf of American interests. His commercial career as shipping broker and insurance representative established his acumen in transnational transactions; his experience as ship’s captain gave him opportunities to exercise independent judgement and to act decisively; his work as agent for the Royal Canadian Insurance Company enabled him to form important Canadian business connections even though he lacked both permanent residence and national political loyalties. Bell Canada Telephone Hist. Coll. (Montreal), C. F. Sise, letterbooks; logbooks. Christopher Armstrong and H. V. Nelles, Monopoly’s moment: the organization and regulation of Canadian utilities, 1830–1930 (Philadelphia, 1986). R. E. Babe, Telecommunications in Canada: technology, industry, and government (Toronto, 1990). G. E. Britnell, “Public ownership of telephones in the prairie provinces” (ma thesis, Univ. of Toronto, 1934). Can., House of Commons, Journals, 1905, app.1. Tony [A. W.] Cashman, Singing wires: the telephone in Alberta (Edmonton, 1972). Robert Collins, A voice from afar: the history of telecommunications in Canada (Toronto, 1977). R. C. Fetherstonhaugh, Charles Fleetford Sise, 1834–1918 (Montreal, 1944). James Mavor, Government telephones: the experience of Manitoba (New York, 1916). E. B. Ogle, Long distance please: the story of the TransCanada Telephone System (Toronto, 1979). William Patten, Pioneering the telephone in Canada (Montreal, 1926). Lawrence Surtees, Pa Bell: A. Jean de Grandpré and the meteoric rise of Bell Canada Enterprises (Toronto, 1992). G. D. Taylor, “Charles F. Sise, Bell Canada, and the Americans: a study of managerial autonomy, 1880–1905,” CHA, Hist. papers, 1982: 11–30, reissued in The development of Canadian capitalism: essays in business history, ed. Douglas McCalla (Toronto, 1990), 145–66. 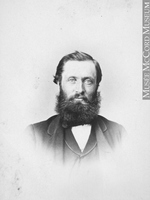 Robert E. Babe, “SISE, CHARLES FLEETFORD,” in Dictionary of Canadian Biography, vol. 14, University of Toronto/Université Laval, 2003–, accessed April 22, 2019, http://www.biographi.ca/en/bio/sise_charles_fleetford_14E.html.